In the way, that I am not a procrastinator. In fact, I may be the opposite. So I am here to help you find the balance between the two. 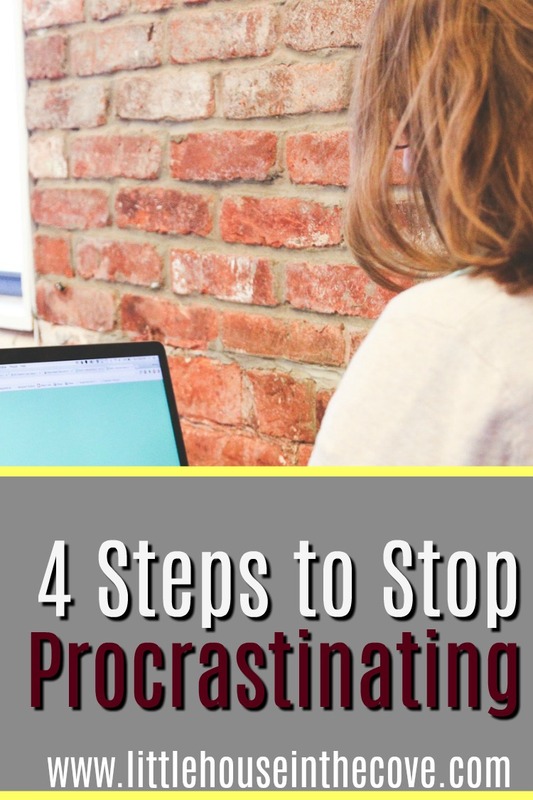 4 Steps to Stop Procrastinating! This step will be different for everyone. Some people want to go into a store, and buy a planner. Some people want to download one, to print over and over! Some want to buy online, and get it over with. Some just want some good quality paper and a folder, to be able to write things down and carry them around with you. Whatever kind of person you are- I have a solution for you!! Go into a Store And Buy a Planner: I recommend either Walmart, or Barnes and Noble. Order online! : If I didn’t download one, I would just buy online!! I choose Amazon for my online purchases. Step 2: Listen to Pep Talks, and Podcasts. I Can Do Anything Through God. I am a Better Me than I was Yesterday. Go through Audible on Amazon, or YouTube, or read books instead. Whatever gets you pumped!! I would tell yourself these 5 things every day, looking in the mirror. I have a Becoming a Better Mother in 30 Days Challenge. And here is a 30 Day Fitness Challenge. Step 3: Have a Plan! Something I encourage heavily is to HAVE A PLAN. My husband and kids can tell you, at least once I day I say “What’s your plan?” I think in plans. I schedule and write lists. Like I mentioned above- maybe I overplan… but you don’t have to!! Divide Your List into Sections, with Goal headings. Break Tasks into Manageable Chunks. Some Create a Visual Representation. I.e. Chart, Spreadsheet, Poster. Check Things off As You Go!! I love to check things off!!! BONUS: Create or Participate in a Challenge, or Have Someone to Be Accountable To. Dinners seem to be the biggest struggle for sooo many families. But we forget, and then Oh great. What to do for dinner? Mac n Cheese, or Pizza again. I have found several resources to help with meal planning. 1st one– Heather Bowen at Lifeofahomeschoolmom- Makes Weekly Meal Plans!! Sign up for her emails, and you will get them in your inbox. Or here are some links to her meal plans! 2nd one– Get Personalized Meal Plans for $5 a Month!! Bonus about this program is that you can create and save your own meal plans using their database. They also have options for, 30 Minute Meals, Slow Cooker Meals, Paleo Meals, and Vegetarian Meals. Receive your free Full Priority Planner by Sarah so that you can begin getting more organized today! **Signing up for this freebie will add you to the Little House in the Cove mailing list and Raising Human Beans. What is the hardest part of scheduling for you? Be sure to click below to share, follow and like us!